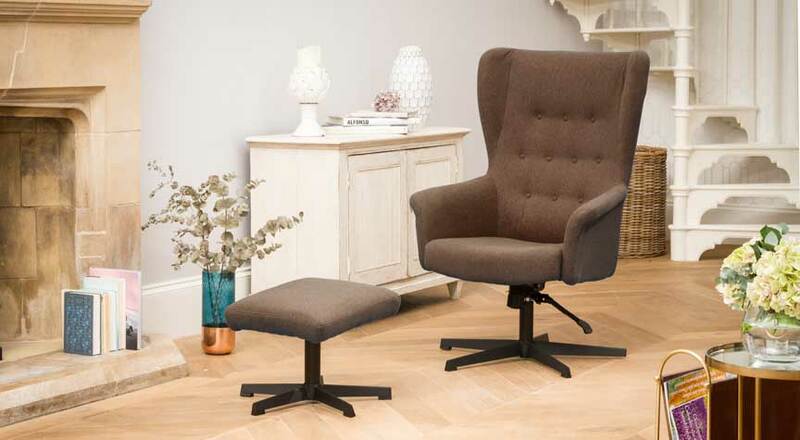 The Bradninch is a stylish, modern swivel chair. Covered in a durable fabric this swivel chair also has an attractive buttoned back design. The black base ensures this swivel chair will suit any environment. 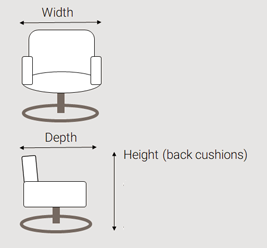 Our swivel chairs have 360 degree swivel motion for maximum comfort and usability. The recline function is operated by the user pushing back into the chair, and the functional chair design means that your weight will hold the recline in your preferred position so you can simply relax! This is an ideal chair for those wanting the comfort of a recliner, with a more contemporary look. All products are tested to meet or exceed UK fire regulations.